Homebound Services' primary mission is to deliver library materials for free to Philadelphians who are unable to get to a Free Library location due to any number of unique circumstances. Our department offers nontraditional patrons across all age groups the opportunity to benefit from the Free Library’s vast collections. We serve permanently disabled people, people recovering from injury or other temporary setbacks, and people confined by physical or mental illness including children, the frail elderly, and their caregivers. Applications for Homebound service are taken over the telephone. 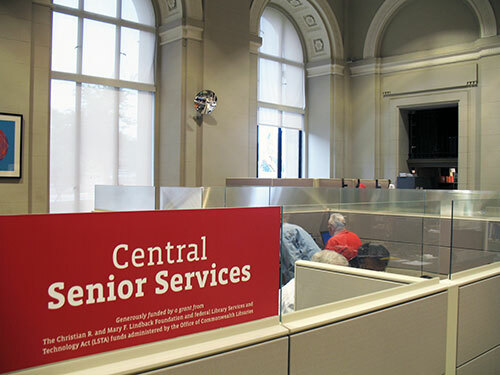 Loan periods are extended for up to six weeks for homebound users and fine waivers are available for overdue materials. Homebound card holders may request specific books by title, or librarians will provide assistance in selecting books based on users' interests. If you, or someone you know, is in need of Homebound Services call 215-686-5411 to speak directly with our staff to discuss this benefit in detail.